Contributed by: David Stalcup on August 30, 2017. In May, Dell EMC announced the availability of their next generation of servers, the fourteenth generation. 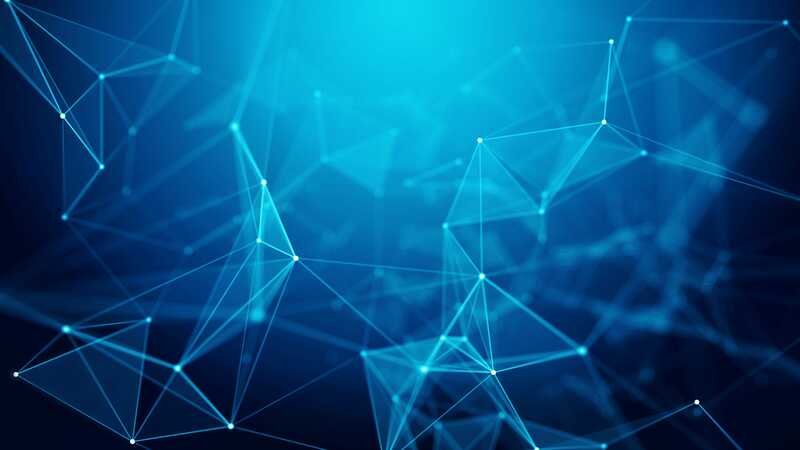 The initial release of servers includes the PowerEdge C6420, Dell EMC PowerEdge R640, Dell EMC PowerEdge R740, Dell EMC PowerEdge R740xd, Dell EMC PowerEdge R940. Each of the new generation of servers will also feature the updated idrac9. The Dell EMC PowerEdge C6420 is built for high performance and hyperscale workloads. The C6420 enclosure supports up to 4 – dual socket nodes in its small 2U form factor. The C6420 also supports the new Intel (Skylake) and AMD (Epyc) CPUs, NVMe technology, and fabrics such as InfiniBand and Omnipath. The Dell EMC PowerEdge R640 is for high performance and simplicity. The R640 is the smallest form factor of the new rack server line at only 1U. Users can create NVMe cache pools and utilize either 2.5” or 3.5 drives for data. Of the 24 DIMMs, 12 can be used for NVDIMMs. The NVDIMMS are part of the newest releases from Intel, Storage Class Memory or SCM. SCM will revolutionize in memory performance in servers for generations to come. Intel leverages their #D Xpoint development or Optane to create pools of non-volatile memory within the server architecture. Imagine using a non-volatile pool of storage that is attached to the memory bus as your caching tier in vSAN. The Dell EMC PowerEdge R740 aims for balance of performance and storage. This 2 socket, 2U server is ideal for a wide range of applications and use cases such as VDI as it supports up to 3 double-width GPUs. There is also an internal M.2 SSD for boot, freeing up more space for storage. The R740 can support 25GbE ports on the daughter card and the new generation of servers are certified for 32 Gb FC and 100 GbE. The upgraded networking allows the end user to leverage a multitude of memory, NVMe and SSD configurations. Much like the R740, the Dell EMC PowerEdge R740xd offers an upgraded processor family (Skylake), Storage Class Memory, faster memory speeds, additional memory channels and upgraded networking options. The XD features many of the features of the R740 along with the ability to have 24 NVMe drives for even higher performance and a much broader GPU support making it a better choice for VDI that needs higher performance overall. The initial release of the XD will limit the NVMe drive slots to 12 but the phase II release expected to be at the end of 2017 will allow for a 24 NVMe drives. The highest performant entry of the new collection is the Dell EMC PowerEdge R940. This 3U server has 4 sockets and supports up to 12 NVMe SSDs. The 96 DIMM slots on the system board enables incredible performance since the servers support up to 6TB of RAM. This server also contains a built-in M.2 SSD’s for boot and allows space to be saved and has 24 2.5” on top of the 13 PCIe slots. The R940 is ideal for physical nodes in a virtualized infrastructure of for an organization looking for top-end performance. The Dell EMC 14 G server line features several innovative features designed to take this compute platform to the next level in performance and low latent response. First, Dell EMC is leveraging the new Intel Skylake CPU. The Skylake CPU offers up to 28 cores, expanded memory channels from four to six and expanded capability to accommodate up to three GPU’s . Perhaps the biggest leap in performance is the introduction of Storage Class Memory or SCM. This leap in performance will radically reduce latency and forever change the way applications process data. Future releases of SCM will be much larger in size than traditional DIMM of 32GB that we see today. It is anticipated that in coming years SCM will be the largest point of storage within a traditional server node. 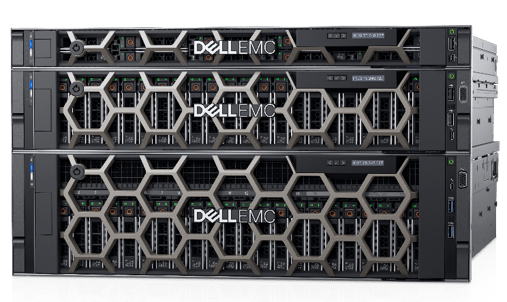 Look for additional announcements from Dell EMC in the fall as they roll out phase two of the 14th generation server line. Expect to see a full array of AMD Epyc processors as well as upgraded versions of the Dell EMC FX2 platform. To learn even more about how these innovative products can integrate into your systems; reach out to Sanity Solutions at info@sanitysolutions.com.